These rabbit-shaped apples are called Usagi Ringo and are often put in kids' bento boxes as a decorative dessert. Here is how to make apple rabbits. Use a sharp knife but be careful when handling it. 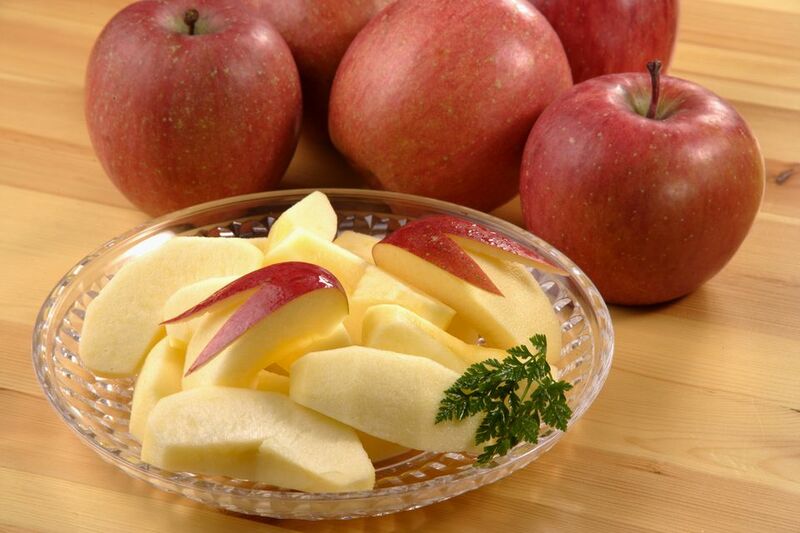 Cut each apple into 6 or 8 wedges. Cut the core out of each apple wedge. Carefully score the apple skin with a knife in an inverted V shape. Insert the knife under the apple skin and carefully move the blade to a little over the edge of the inverted V shape. Serve apple rabbits for dessert or pack them in bento lunch boxes.